The perfect first 5.9 lead. You?ll find many good stances to place pro at each crux where you are usually going for a good hold. 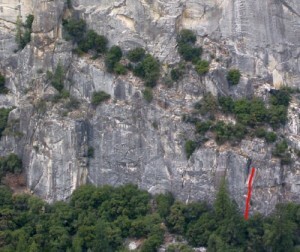 Climb with one 70m rope or bring a second rope to rappel. Which SuperTopo guidebooks include a topo for Suds?